The planet Mercury – my ruling planet – has certainly earned his tricksterish reputation in my life, never more so than when he turns retrograde, this time in Sagittarius, trining my Twelfth House Mercury. Inspired by this link, I decided to re-visit some articles in my Writing from the Twelfth House blog, now an archive. Just on cue, up popped one of the most frequently read posts on that site: all about trickster Mercury and the Twelfth House! 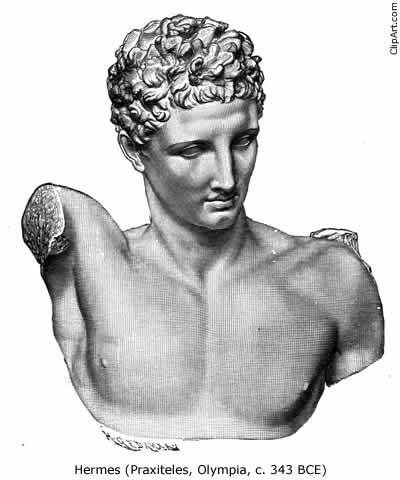 Mercury, by Praxiteles – isn’t he gorgeous? ” Having astrology’s trickster planet, Mercury, or Mercury-ruled Gemini or Virgo, associated with one’s natal twelfth house can be quite a ‘tricky’ proposition for anyone to manage. In fact, in similar fashion to this blog’s creator and author, the gracious Anne Whitaker, I am communicating with you from the twelfth house right now, with sixteen degrees of a mercurial sign directing the show from behind the curtain. 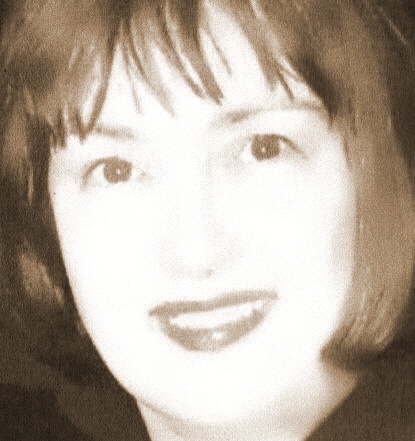 Check out Stars over Washington for Jude’s outspoken astrological and political commentaries on USA’s current affairs….and Jude Cowell Astrology for her varied astrological writings. The planet Mercury – my ruling planet – has certainly earned his tricksterish reputation in my life, never more so than when he turns retrograde, this time in Virgo. Just as he quit dancing around my 9 Virgo Ascendant, disappearing into the Twelfth House this week, I decided to re-visit some articles in my Writing from the Twelfth House blog, an archive since May last year. 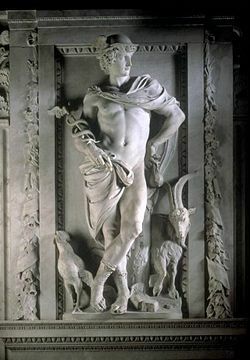 Just on cue, up popped one of the most frequently read posts on that site: all about trickster Mercury and the Twelfth House! New Moon in Gemini – on its way ! I thought it might be fun – and a radical departure from my usual approach – to take a lightning skim through the twelve houses of the horoscope, writing down the first thing that comes into my head regarding the tone of the month ahead for us all: here goes! Bank loan, here I come. What to spend it on? Books!! Why do I have to have so many siblings? What – only one love affair? There are two sofas in this room, and I’m behind both of them! Born on the cusp: which sign am I? This is easily the most frequently read post on this blog! So – thought I’d repost it for the benefit of new readers – with thanks to Rian, who asked the original question. Could you talk a little bit about cusps? How much does a person with their sun at 29.5 degrees take on the next sign? Or is it black and white. I think it might be a fade-out/ fade-in, but I’ve never found anything written about this. Thank you. Anne’s Answer: I’m glad you asked this question. It’s one astrologers are asked A LOT !I’ll answer it in two stages. Firstly, let’s imagine someone out there is due to give birth mid to late June 2013 in Glasgow, UK, and is wondering whether their baby will have the Sun in Gemini or Cancer. At midnight GMT on 21st June (1.00 am UK summer time), the Sun is at the very end of Gemini:29 degrees 48 minutes. By midnight GMT on 22nd June (1.00 am UK summer time), the Sun has moved to the next sign and occupies the very beginning of Cancer: 0 degrees 45 minutes. Thus our imaginary child arriving on 21st June 2013 some time after midnight GMT in Glasgow, UK would be in popular terms, ‘born on the cusp’. However, as anyone who takes their interest in astrology ‘beyond the Sun Signs’ will very quickly realise, there is a lot more to astrology than its popular Sun Sign face would suggest. With an accurately calculated horoscope which uses the date, place and vital TIME of birth, an astrologer (or, these days, anyone with access to a reasonable computer programme ) can work out to the minute where the Sun is on that child’s birthday. To illustrate this, look at the image below. (click on it to enlarge). Our imaginary cusp Baby X, born in Glasgow UK at 6.00 am British Summer Time ( 5.00 am GMT ) on Friday 21st June 2013, will have the Sun in Gemini – at 29 degrees 59 minutes. If this child is born only five minutes later, however, he/she will have the Sun in Cancer – at 0 degrees 00 minutes. Thus, strictly speaking, there is no such thing as ‘born on the cusp’. Our Baby X, horoscope accurately calculated, is either – in Sun Sign terms – a Gemini or a Cancer. However, Rian, your guess was quite correct. Someone born with the Sun at the very beginning of the 30 degrees of any zodiac sign has a stronger, more vivid and obvious ‘charge’ of the sign’s energy than someone born at the very end. Imagine you are standing in a favourite room which you have occupied for a long time. You are becoming a little bored, jaded with what that room may have to offer. Suddenly, a door you’d never noticed before opens slightly. A shaft of new light streams through from another room. You step forward, intrigued. Could this be a new adventure? Or, to conclude our analogy: the Sun in fickle, restless Gemini is becoming stale – the prospect of entry into a journey through another sign, watery mysterious Cancer, beckons…. The second stage of my answer, though, brings in a little of the more complex picture which more in-depth astrology has to offer. Even those of you with very little knowledge of astrology should be able to imagine the 360 degree zodiac circle before you as a stage. Stand in the centre, and look around the circle. You will see various symbols, representing the planets. Humans have been standing on Earth, looking out into the night sky, plotting the planets’ positions against an imaginary 360 degree great circle, the zodiac, for more than six thousand years. That view has never changed, despite our knowledge for several centuries that the Sun, not Earth, is the centre of our solar system. We still look out from the same Earth to the same celestial view. On the left of the circle, just above and below the horizontal black line, fall the sectors of Gemini and Cancer. Our Baby X may be a Sun Gemini – only just! – but very close to that Sun is Jupiter (desire to connect to the Big Picture) and not far away is Mars (action). This gives our Baby X a very strong emphasis on the Gemini theme. However the horizontal black line is his/her Ascendant or Rising Sign, revealing the way s/he will appear to the world in general. This is in the sign of Cancer. 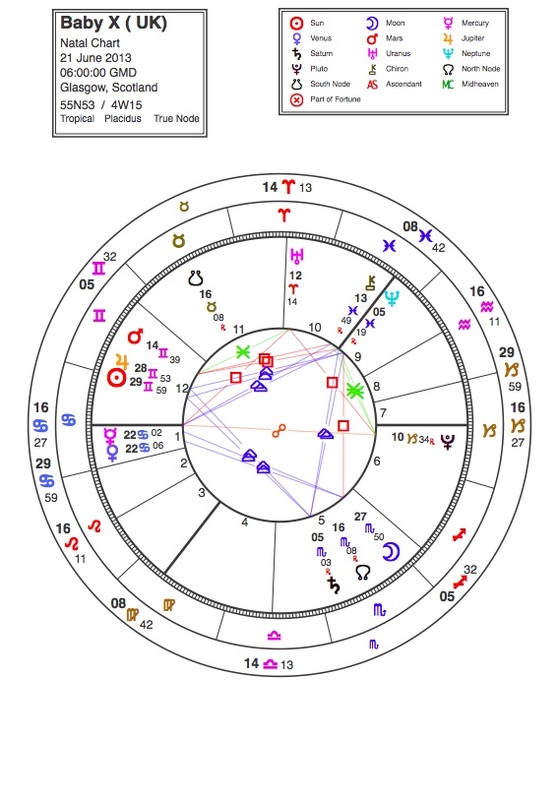 Just below this point, squashed together on 22 degrees of Cancer, are Venus (urge to relate) and Mercury (drive toward communication, expression). Thus Baby X will have five out of the ten planets (or characters on the stage), and Rising Sign, occupying only two of the twelve signs of the zodiac. This places a very strong emphasis on the signs of Gemini and Cancer, rational air and emotional water. Thus, at a very simple level – full interpretation has to take all the characters, their locations and interactions on the zodiac stage into account – Baby X will have the gifts and pains of that classic Shakespearian clash between reason and passion, to wrestle with and reconcile, be driven by– for as long as s/he lives. A long answer for a short question! But I do hope it sheds some light – and reveals in the process a deeper astrology ‘beyond the Sun Signs’. Do let me know what you think! And you new visitors and Followers out there. Drop by with your observations….. and, of course, your Questions…. Posted in An Astrological Miscellany: of cusps, virgins, atomic scientists, Muhammad Ali and much, much more...(13 articles), Born 'on the cusp'? Strange tales from Mercury’s Retrograde Realm…. Mercury – isn’t he gorgeous?! However…. ….in the spring, summer and autumn/winter of each year, the planet Mercury does something strange. It appears to slow down in its orbital pace, stop, then start to move backwards. This is known as retrograde motion. It is of course an illusion. Otherwise, we’d have fallen off the solar system aeons ago. However, the effects down here on Earth when Mercury is in its 2-3 week retrograde phases are anything but illusory. For years, I studied this phenomenon in my own life, the lives of family, friends, and astrology students. In sum, communications of all types become strangely awkward and hard to manage during those times. I learned to look forward to having some rest during Mercury Retrograde, since my referral rate dropped. Normally clients always turned up for appointments, MR periods being the exception. Cancellation rates increased. Once, a client called to cancel because her house had just caught fire (yes, she called the Fire Brigade first! ).Two clients often turned up at the same time. Cheques invariably got lost in the post, or clients forgot to bring cash. One summer I moved office during MR, becoming involved in a dispute of byzantine complexity with the telephone company which took almost a nervous breakdown on my part to sort out. As MR periods approached, I used to entertain my students by looking at their individual horoscopes, which enabled me to be more specific regarding possible MR effects. I told one student, a lawyer, that a female helper in his workplace was likely to have communication problems which would impact on him. His feedback? His secretary sprained her wrist, and was unable to type during the entire MR period. Mercurial people, ie those with the sign Gemini strongly emphasised or the planet Mercury dominant in their horoscopes, are most affected by Mercury’s retrograde phase. Anyone involved in the business of communication can look forward to a less than smooth three weeks. What can mercurial folk do, then, to maximise advantage and minimise disruption when Mercury is retrograde? MR is a positive time for going back over all matters to do with communication, and cleaning up. Some examples: if you’ve been putting off a purge of your filing system, do it now. If your accountant has asked you nine times for your last year’s papers, use this 2-3 weeks to update them. Dig out and finish some of those half-worked articles if you are a writer. If you’ve been writing furiously and the brain/wrist is seizing up, have a break. Catch up with some reading. As we know, fallow time is creative. The don’ts? If it is not feasible to avoid or delay taking important new initiatives or completing existing processes, eg signing contracts, leases, etc, try to accept complications or thwartings philosophically. Also – be prepared for delays, eg when travelling, especially long distance. Don’t sit under the mailbox waiting for cheques. And please, don’t arrange for a phone installation! ….oh, all right. I’ll tell you. Enjoy the next three weeks! And do let me know YOUR strange tales…. Rian’s question: Born on the cusp: which sign am I? Anne’s Answer: I’m glad you asked this question, Rian. It’s one astrologers are asked A LOT !I’ll answer it in two stages. Well, Rian, a long answer for a short question! But I do hope it sheds some light – and reveals in the process a deeper astrology ‘beyond the Sun Signs’. Do let me know what you think! Posted in Born 'on the cusp'?